Good news for ya superhero fans, especially the heroes of Marvel. Spider-Man will again be part of the Marvel Cinematic Universe, meaning that the spider will be a 'place' with Captain America, Iron Man, Thor, Hulk, and Guardians of the Galaxy. This news earlier still a speculation, after the data from Sony was hacked and distributed online. Now, Marvel officially announced that there was an agreement between the company with Sony Pictures. Indeed, there is no certainty when Spider-Man Marvel's version will be made. 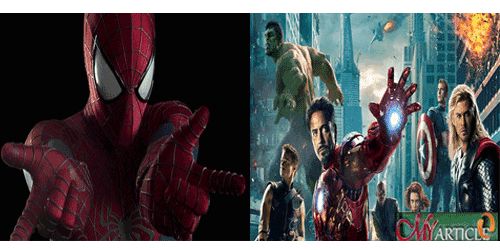 What is certain after Sony Pictures released next AMAZING SPIDER-MAN, July 28, 2017. Actually Marvel will not be fully involved in the Spider-Man, Sony will still be up in the financing, distribution, possession, and control the final process of the films of Peter Parker to come. Spider-Man might be made a new version of the Marvel style but still controlled by Sony. This cooperation is no good really. Marvel right every year can not release the film too much because they are still thinking about the quality of the films made. With the help of Sony expected, at least not Spider-Man The new version will be faster manufacture. Other news anyway likelihood there will be a new player to the character of Spider-Man, which may not be played again by Andrew Garfield. But the good news, who knows we can see Spider-Man save the world together with the other Avengers.